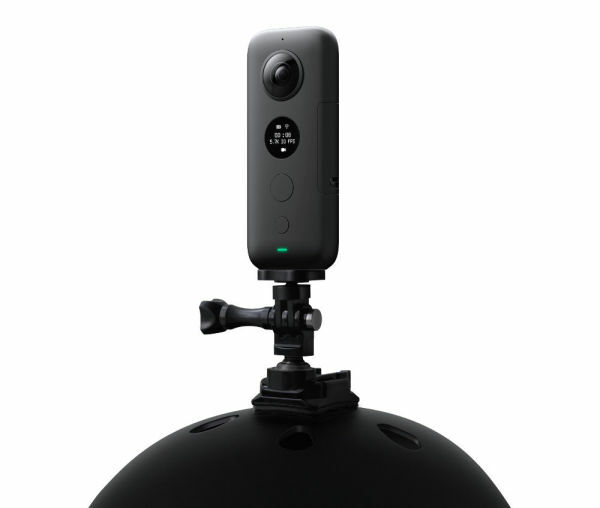 The Insta360 ONE, marketed as a better actioncam, gets extended resolution options as ONE X -- the 360° videos can be recorded with it at 30fps in 5.7K. In 4K, the small camera is able to record at 50fps, at 3K at 100fps. Photos can be taken with 18MP. Appropriately, a TimeShift function has been added as a new software feature, with which the playback speed of different sequences within a video can be slowed down or accelerated afterwards. Speedramps can therefore be created with on-board tools. The small surround camera still works with two camera modules, but they should have larger image sensors than before. The light intensity of the built-in optics increases from F2.2 to 2.0. The (replaceable) battery has also become more powerful with 1200 mAh instead of 820 mAh. 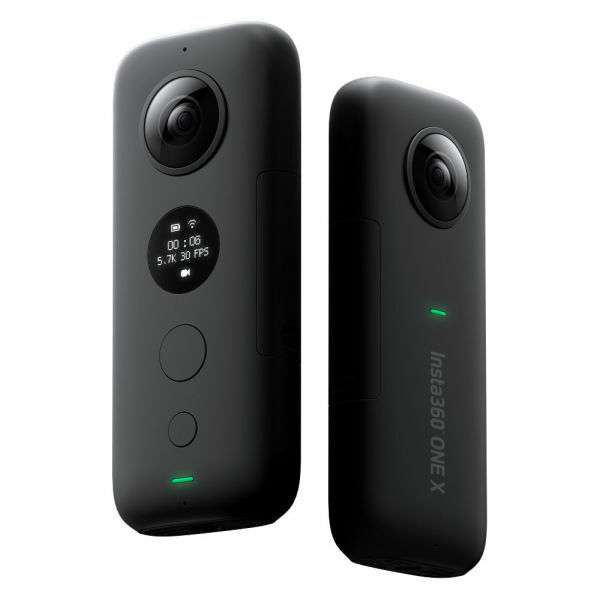 Overall, the ONE X is somewhat larger, measures 115x48x28mm and weighs 115g. The Insta360 FlowState stabilization algorithm, which was introduced in the spring with a firmware update of the ONE, is of course also involved here. Furthermore, there should also be an HDR option in video mode. ISO, exposure value, white balance and shutter speed can be set manually (this was also possible up to now). Whether the ONE X also supports live streaming could not be seen from the preliminary information. The bullet time feature, which simulates a flying camera, has been further developed and now offers a wider field of view and 3K resolution. In addition to operation with a smartphone via WLAN, a Bluetooth remote control is optionally available. In the mobile app, the export of traditional FullHD videos is possible with free selection of the image section as before. Two different additional housings are available for shooting close to water. New seems to be the Dive Case, which should protect the camera in depths up to 30m; the Venture Case is intended for splash water or a max. 5m depth. The Insta360 ONE X will be available immediately for 459,95 Euro (costs about 100 Euro more than the ONE at that time).